Google’s latest algorithm update has caused a huge stir this week, affecting thousands of website rankings across the world. It seems to have severely affected sites which are using poor quality links, rather than looking at the content on the website itself. Google hasn’t yet confirmed or denied the update – John Mueller og Google only made the tweet below on the subject rather than an actual statement. 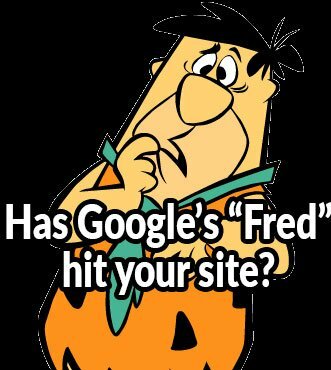 Gary Illyes, another member of the Google search team wasn’t giving anything away either, saying that all further search engine updates are to be called “Fred”. The SEO community has gone ahead and kept his suggestion – and Fred is making headlines across the industry. So far, it seems that most of the people affected are those leaning toward black-hat techniques such as buying from link-sellers, or spamming comments sections on other websites., although there are also many saying that they’ve never done anything of the sort. This could be due to the algorithm punishing certain links by accident, or just that those people didn’t consider their links to truly be frowned upon by the search giant. The graph below from RankRanger shows that this is the first major update since the beginning of February, so if you haven’t checked your rankings yet this month, now is the time. It’s also worth checking the amount of traffic coming in to your site to ensure it hasn’t been affected. 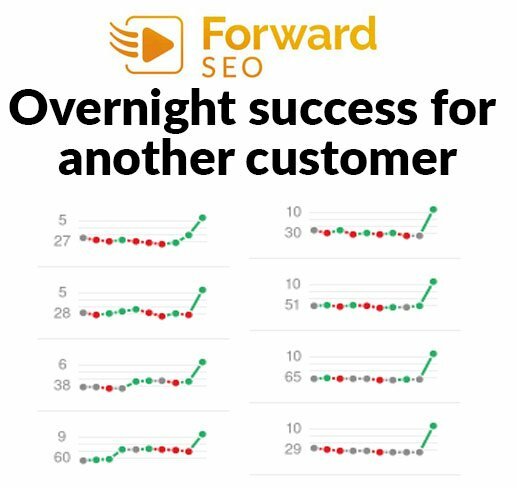 At ForwardSEO, we keep things within the search engine’s guidelines, and our customers are reaping the rewards. In fact, one client alone had 92 keywords which increased in the rankings overnight this week, landing an extra 25 terms onto page one on Google. This is likely to triple the number of customers finding their business online. We hope you’ve been treated well by the Fred update, but if it’s caused you any problems, please get in touch with us today on 01606 374995, or drop me an email at [email protected].